The Internal Revenue Service or IRS recommends that anyone earning $54,000 or less find out more about the Earned Income Tax Credit. Last year 27 million Americans qualified, and the EITC average was more than $2,455. 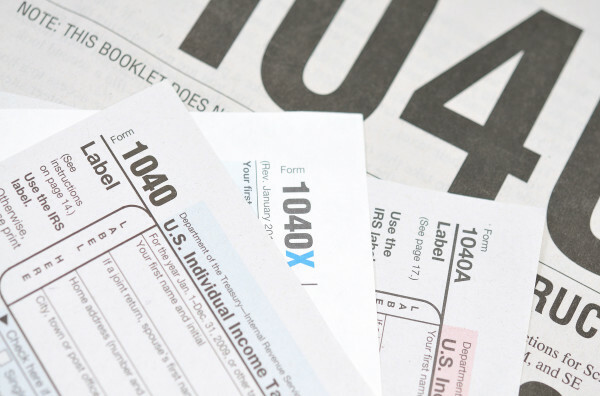 This year, officials say even more taxpayers will qualify. As we’ve written earlier, IRS officials will be scrutinizing reviews to curb fraud; that will slow the pace of returns for those claiming EITC and the Additional Child Tax Credit. Once those refunds do arrive, some consumers will face hard choices about cashing those refund checks. Those are consumers who do not regularly use a bank or credit union. Often referred to as “the unbanked,” these consumers use a variety of alternative methods to pay monthly bills and buy goods in other than brick-and-mortar stores. In doing so, they rack up on average more than $2,400 per year in interest charges. Financial advisers say much of that interest burden could be reduced or eliminated. Many of those advisers suggest turning first to local banks and credit unions. Responding to competition from multi-state banks, Maine-based financial institutions have been looking for ways to attract customers who until recently may have avoided traditional banks or credit unions. Lloyd Lafountain III is superintendent of banking for the state of Maine. He said Maine-based financial institutions combine the latest technologies with local knowledge. “Many offer low-cost accounts, and consumers can avoid overdraft fees by not using paper checks and not opting into overdraft protection programs,” he said. Check-cashing outlets, pawnshops and payday loans are costly substitutes for a bank or credit union. Federal and state officials have launched efforts over the years to attract consumers to the world of traditional banking. Still, millions of Americans find themselves using short-term, high-cost solutions to get past the next round of bills. A lot of those quick-fix solutions are found on the internet, but many are less than economical. Few of them offer the kinds of customer service that face-to-face relationships can provide. Tips on opening a low-cost account can be found online at maine.gov/pfr/financialinstitutions/consumer/saveandprotectyourmoney.pdf. Consumer Forum is a collaboration of the Bangor Daily News and Northeast CONTACT, Maine’s all-volunteer, nonprofit consumer organization. For assistance with consumer-related issues, including consumer fraud and identity theft, or for information, write Consumer Forum, P.O. Box 486, Brewer, ME 04412, visit http://necontact.wordpress.com or email contacexdir@live.com.